"I've never met a freckle that came with bad skin." ...I told Kelly at the trial run of her bridal makeup. It's true! Think about it! Women with freckles almost always have the most clear, smooth fair skin, and lovely Kelly was no exception. I refuse to ever spackle a freckle, and I told Kelly so. Luckily, she laughingly agreed as she refreshingly embraces her Julianne Moore-esque creamy angel-kissed complexion! 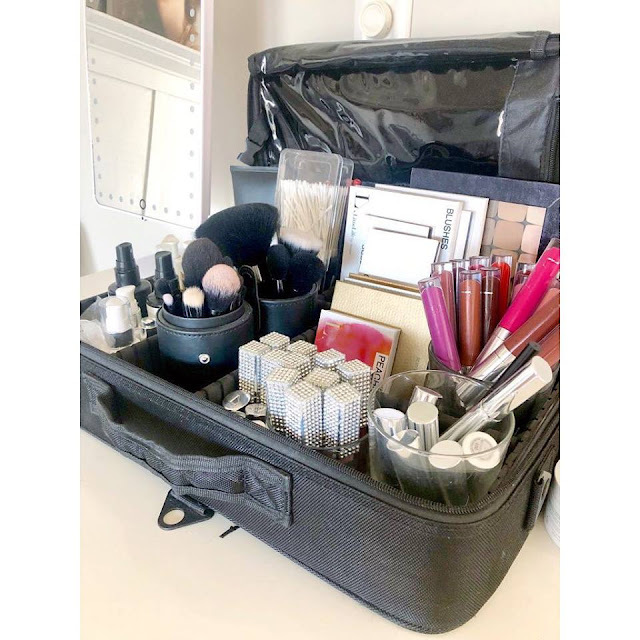 Kelly wanted her makeup to be right in line with the clean and classic elements of her personal, no-fuss beauty routine- natural and easy to maintain for day to day, and elegantly defined for special occasions. We of course, went for the latter! 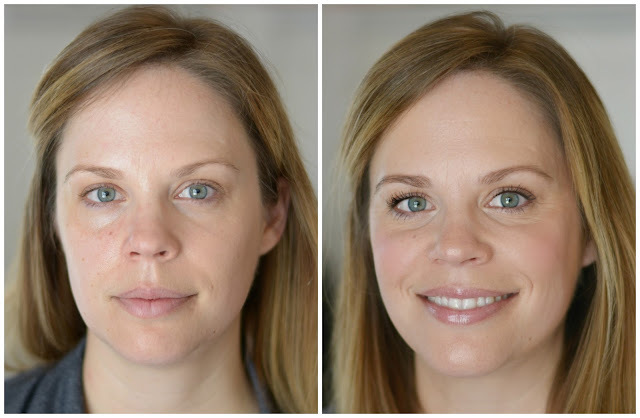 A focus on her green eyes and glowing complexion, the palette I used was neutral, yet bold in all the right places to compliment her almost bare skin and make room for LOTS of lashes. 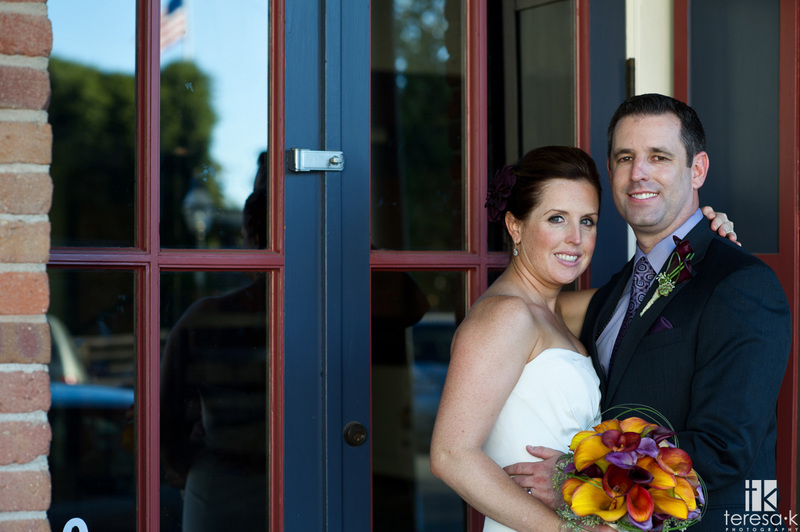 I personally loved and related to the urban chic esthetic that Kelly loves, from her romantic sheath dress, to her beautifully swept chignon and lovely timeless makeup. 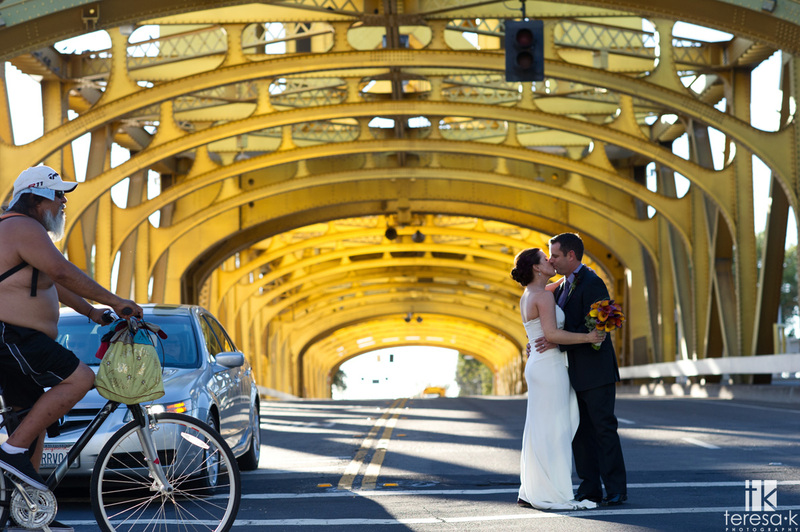 Kelly's style was reflected in every detail of her Downtown Sacramento wedding. She really wanted to capture who she and her future husband were, as well as their love for their home here in our beautiful Capitol City. The lovely Kelly on her wedding day, as beautifully captured by Teresa Klostermann for Teresa K Photography against some of Sacramento's best landmarks. Best. Make-up artist. Ever! Christi, you were amazing and everyone was more than pleased with the results. 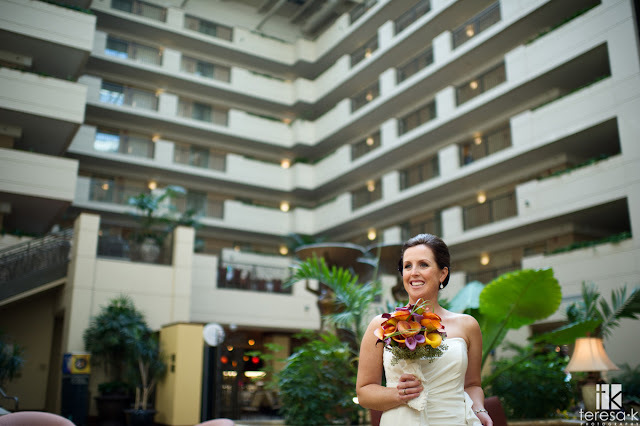 I LOVED my make-up, but I was also impressed with how you did up the mother of the bride and groom. 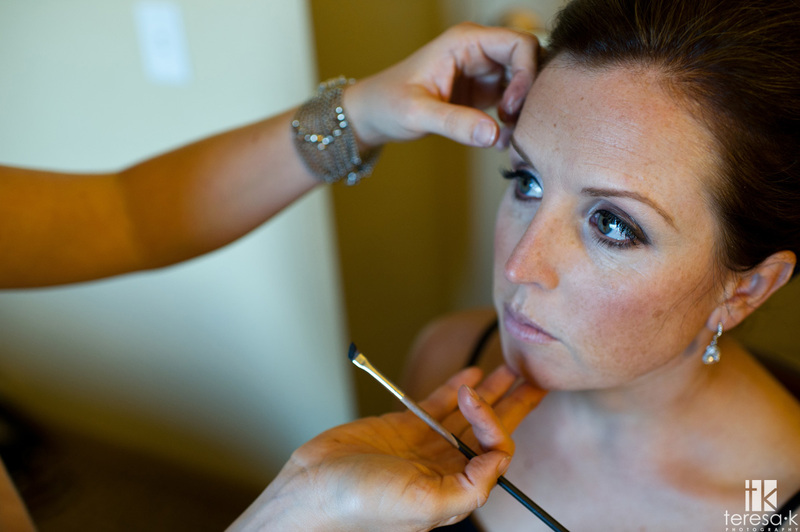 Both women had never had their make-up professionally done before and they looked stunning! I cannot thank you enough! :-) Forever grateful, Kelly.